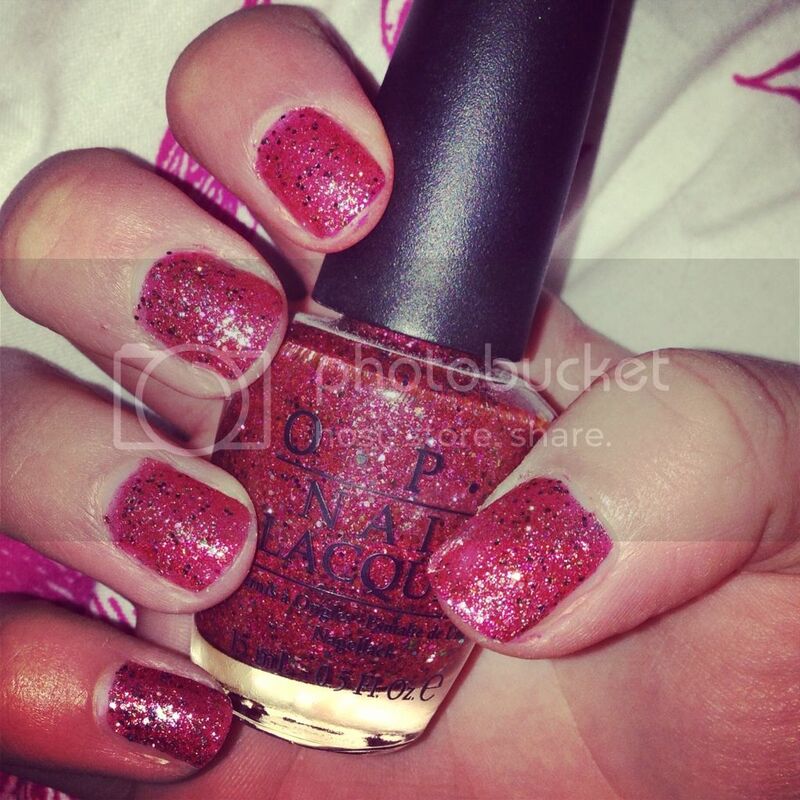 Tonight's manicure comes courtesy OPI and their gorgeous Muppets collection from Christmas 2011. This has to be without a doubt my favourite colour from the whole collection, (aside from Rainbow Connection) Excuse Moi! It's a gorgeous fine pink glitter with chunkier multi coloured particles in it which dries to a matte finish. It doesn't come off too in your face, so looks beautiful as a full mani rather than just an accent. I've also just discovered the new Oz collection and oh my days I think I might be in love!